Ten days ago #RandyHarrison was in Boston for Crescendo with The Skivvies. Our dear Kathy Hearns, who attended the event, shared some more photos with us. Thank you so much Kathy and sorry for the delay in posting, but we had some nasty technical issues with all of our three websites. 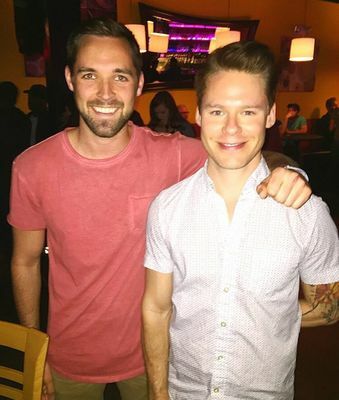 We added to our gallery a photo of #RandyHarrison, taken on Monday night in Cincinnati and posted by Gregory Kasson who is in the photo with Randy and let us share it on our website. Thank you so much Gregory. 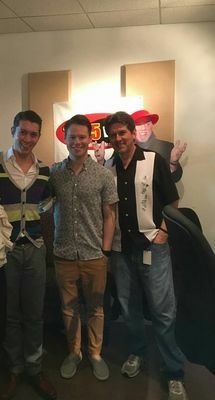 And we also added a photo of Randy with Leeds Hill visiting the WGRR studios for "Married with Microphones" on May 12th. 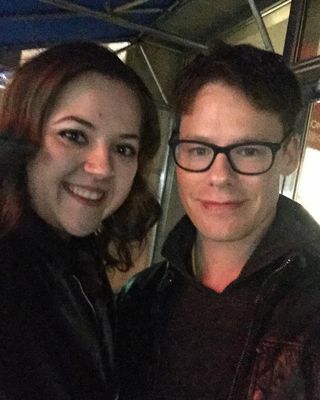 We have a photo of #RandyHarrison after his performance in #CabaretTour last night in Cincinnati. In the photo Randy is with our dear Taylor Underwood who shared her photo with us. 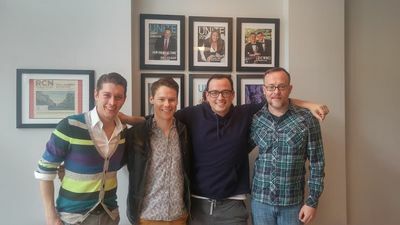 Michael Monks, who shared on his Twitter a photo with #RandyHarrison and #LeedsHill earlier today, interviewed the two actors for The River City News . You can listen to Randy and Leeds talking about their common background in Cincinnati and about Cabaret clicking on the LINK . A previous interview by Mitch Carr can be found HERE . 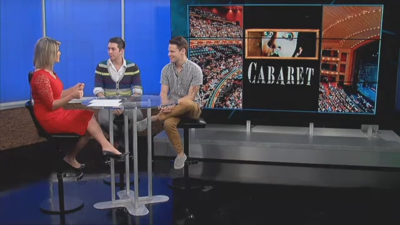 After a few days break, #CabaretTour is in Cincinnati, where it's scheduled at the Aronoff Center from the 10th to the 22nd of May. 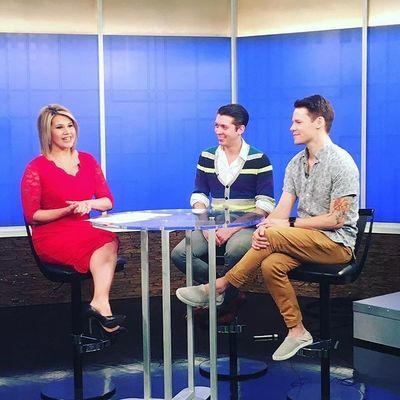 This morning #RandyHarrison and #LeedsHill were at the Fox19 studios for an interview with anchorwoman Kara Sewell. Our dear Kathy Hearns also shared on her Youtube channel a video of #RandyHarrison's performance in Crescendo. And we also made some screencaps, thanks to Claudia. On May 7th #RandyHarrison was with #TheSkivvies at the W Boston Hotel (Boston) for a performance in Crescendo, the charity event hosted by the Boston Gay Men's Chorus every year. 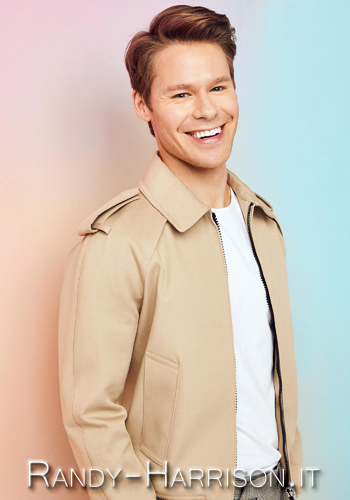 The short #PhotoOp with #RandyHarrison has been accepted into the Short Film Corner at the 2016 Cannes Film Festival Court Metrage, as part of this event which runs parallel to the Cannes Film Festival. The news was posted on Photo Op's social media. A little reminder: tonight at 9,20p.m. #RandyHarrison will perform with #TheSkivviesNYC at the W Boston Hotel in Boston. The event, called Crescendo, is organized every year by the Boston Gay Men's Chorus to raise money in order to support the Group's activities. This year Randy, Lauren Molina and Nick Cearley are the event's special guests.